Professionals are raving about Prevent Color Stain Skin Barrier & Remover as it enhances color service results for both clients and Colorists. This clear gel is easy to apply and absorbs quickly into the skin like an invisible shield. Your client will not even feel that it is there protecting their skin. Prevent Color Stain Skin Barrier & Remover protects your client’s skin as the gentle formula requires minimal or no rubbing. If the gel touches your client’s hair when you apply it onto the hairline do not worry as it does not affect grey root coloring. It works beautifully on sensitive skin that normally retains strong color stains and on skin treated by chemical peels. It’s as easy as 1-2-3. Apply Pre Treatment to hairline. Perform color treatment. Shampoo hair and apply Post Treatment. Your client walks out of your salon with beautiful color in their hair and not on their skin. Prevent Color Stain Skin Barrier & Remover is excellent for removing brow and eye lash tinting. It is also an effective stain remover of tint and blood on clothing and surfaces. Always use cold water to activate product on non-skin surfaces. “It is head and shoulders above anything else I’ve used. Prevents stains even when using Blue Black tints. It is far superior to Prima-tint as the Prevent Color Stain Skin Barrier & Remover requires far less rubbing than Prima-tint and it is very gentle on the skin. It really blocks and removes color well. It goes on light and absorbs into the skin, leaving no greasy residue. A second application while shampooing takes off any stains. It’s really made my color services much better for both my clients and me.” David used to use Prima-tint and KMS Flat Out Between. “AQtiv PURE Prevent Color Stain Skin Barrier & Remover is exactly what we have been waiting for. 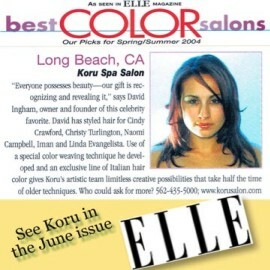 I am a salon owner / colorist / educator and have been in the biz for 14 years. As a salon owner for three years with 15 on staff, we do huge amounts of color clients. So only the best will do. The new color products are heavily pigmented for great coverage, however they are not so good for the skin. Most products are so harsh on the skin to remove color. Prevent Color Stain Skin Barrier & Remover is easy to use, cost effective, and mild for you and your client. This product lets you cover the grey not the skin.” Domingo used to use Prima-tint. “I absolutely adore it! I won’t switch to anything else. Prevent Color Stain Skin Barrier & Remover is easy to use and a time saver for me. It’s economical as I only need a small amount for each client and it is very gentle on my clients’ skin. There’s no strong odor and its dye free which works especially well on my clients with sensitive skin. Prevent Color Stain Skin Barrier & Remover is an awesome stain remover, even on clients that have porous skin and normally have a hard time with stained skin. The stain wipes right off without rubbing. The Pre Treatment works so well I often don’t have to use the Post Treatment after I shampoo my client’s hair.“ Vicki used to use Schwarzkopf Igora, KMS Flat Out Between, Clean Touch & Anti-terge.